Katharine Horsman, Brompton and Connor Sargent, NYCeWheels. Images PANYNJ. My name is Katharine Horsman and I work for Brompton Bicycle Inc., the US distribution arm of Brompton Bicycle Ltd., the largest volume manufacturer of bicycles in the UK. As someone that has used a folding bike to navigate both London and New York nearly every single day for ten years, I’m here today to offer insight into the benefits of using a folding bike, both for the individual and the urban areas in which those individuals live. The Brompton story is deeply rooted in the urban experience and borne out of one man’s desire to navigate the city as if in possession of a magic carpet he could roll out and join up any part of the city or transit hub that he wished. How I have used the bike has varied, depending on where I have lived, what I wanted to do, meetings or events and the weather. If it starts to rain, I can fold it up and head down to the subway or hop on a bus. If I go out with friends for drinks, I can hail a cab or call Uber, neither one will mind when I fold up my bike and pop it in the trunk of their car. The awesome thing is, there are 100s of 1000s of people doing exactly the same thing everyday in over 50 different countries. In the last 10 years, Brompton’s production has increased five times over and the UK has been our biggest growth market, the majority of that demand coming from London. It is no coincidence that those ten years have coincided with London undergoing a cycling revolution, with dedicated cycle super highways being implemented. Cycling infrastructure now makes up 5.5% of Transport for London’s overall budget. The motivation? To take pressure off an already overcrowded mass transit system and to improve air quality for all. In the George Washington Bridge, you have a similar opportunity to grow cycling and impact the profile of urban transportation. I certainly hope will follow London’s example. My name is Connor Sargent I am General Manager of NYCeWheels in Manhattan. We specialize in electric and folding bikes. I would like to explain the capabilities of pedal-assisted electric bikes, or E-bikes as they are called, and their capacity to extend the range of bicycle commutes. E-Bikes are the cycling industry’s fastest rowing sector. In just 2 years we’ve nearly tripled the variety of bikes we carry. E-bikes are quite different from what delivery guys are riding and are often indistinguishable from regular bikes. They require pedaling for the motor to engage, which amplifies your stroke based on preferred settings. This allows for a very natural and fluid ride, so that it still feels just like a regular bike, but makes climbing hills and traveling longer distances significantly easier and faster. People using electric bikes are commuting up to 20 miles each way and get to work faster than they ever could on public transit. My commute from Rutherford to our shop by the Queensboro Bridge is slightly over an hour. The alternative using some combination of train, bus and subway, would have to be flawless to achieve the same time. Not only is this efficient in terms of time, but healthier, more enjoyable and cost effective – the operating cost on e-bikes is a few hundred dollars per year. For people in buildings without bike parking, we sell folding E-bikes, which can be stored under your desk. 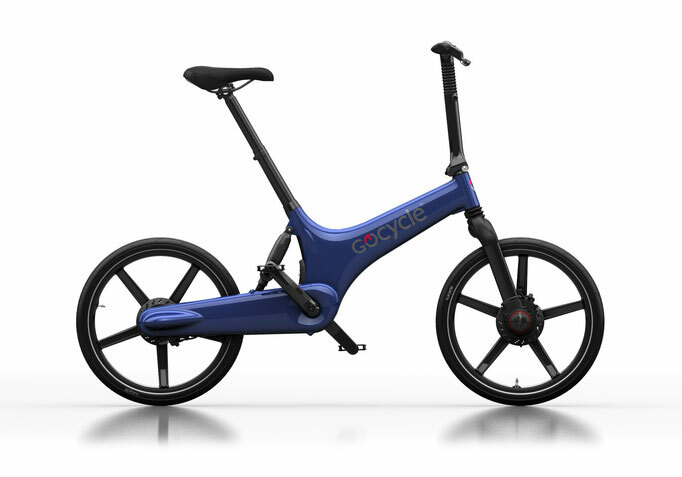 For multi-modal commuters, they’re small enough to transport on your lap, making those last mile trips fast, easy, and fun. Overall, E-bikes are increasing the use of bicycle infrastructure by allowing people of all ages and fitness levels to use cycling as their main form of transportation. Not only are specialized shops like NYCeWheels experiencing rapid growth, but traditional bike shops are expanding into E-bikes in response to high demand. This means many more people will be using the GWB as their connection to New York City, and the paths should be designed in such a way that will support the future growth. I encourage you all to stop by NYCeWheels anytime. We’d be privileged to demonstrate the features and offer you a test ride.